This course developed by the FSPCA is the “standardized curriculum” recognized by FDA; upon successful completion of this course, attendees will be issued a Certificate of Training verifying qualified attendees as a PCQI (Preventive Controls Qualified Individual). Seats are limited to 18 per class! 6:00pm – 9:00pm: Cocktails, appetizers & laughs, followed by a great dinner, awards, prizes, and more fun! AACT, in conjunction with NCIFT, has planned a wonderful evening for Tuesday, May 7th. It will be a social gathering and buffet dinner after the annual NCIFT Suppliers Night Expo. Please see below for all the details. Please contact Ed Silva with your RSVP right away. It promises to be an enjoyable evening…don’t miss it! CALLING ALL TEACHERS OF FOOD & SCIENCE! Do you teach a science or foods class and want to reenergize some of your lessons & labs? Looking to discover career paths for students with an interest in science? Join us in an event catered to teachers, combining worlds of chemistry, biology, food, communications, engineering and math. The Northern California Section of the Institute of Food Technologists (NCIFT) is excited to welcome teachers and educators to an informational session to learn about Food Science. 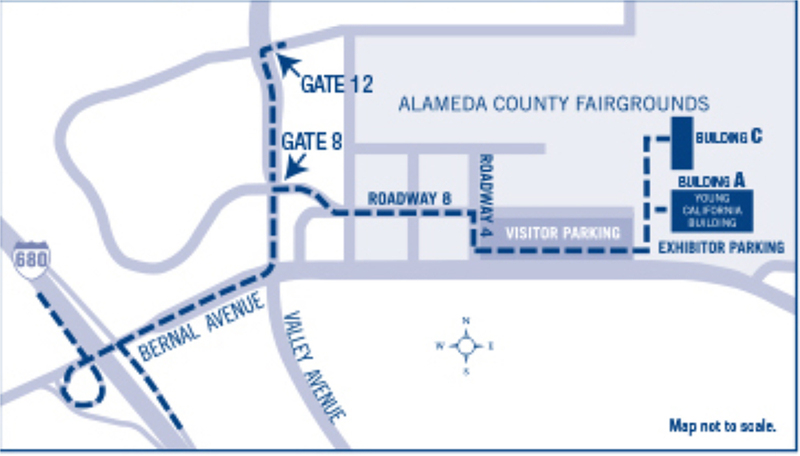 The Alameda County Fairgrounds is located at 4501 Pleasanton Avenue, Pleasanton, CA 94566. The Educator Event will be held in Building C.
Exit I-680 at Bernal Avenue and proceed east on Bernal. Turn left at Valley Avenue, then turn right into Fairgrounds, Gate 8**. Stay on Roadway 8 until you reach Roadway 4; turn right, then left into the paved parking lot. **If Gate 8 is not open, enter through Gate 12. Continue straight past the large parking, towards the green canopy labeled “Welcome to the Alameda County Fairgrounds”. Turn right and follow the map to Roadway 8. Feeding Tomorrow is the charitable foundation for the Institute of Food Technologists (IFT). One of the priorities of Feeding Tomorrow is to motivate the best and brightest young minds to pursue careers in the science of food. We know that the world will need the next generation engaged in the science of food in order to meet the challenges ahead of us to feed a projected population of 9 billion in 2050. Feeding Tomorrow can play a powerful role in encouraging the best young minds to pursue careers in the science of food through connecting with educators, career counselors, and youth influencers. This course will provide participants with the knowledge to implement the requirements of the FDA’s Foreign Supplier Verification Programs (FSVP) regulation. Attendance will help participants to understand the FSVP requirements and how those requirements can be met in his/her particular circumstances. The course is taught by Dr. Willete Crawford, a Lead Instructor for the FSPCA Foreign Supplier Verification Programs course, who also assisted in the development of this regulation, during her time at the FDA. Food spoilage causes massive loss of food supply and substantial economic damage to food companies worldwide. Understanding means of food spoilage, and performing an accurate assessment of shelf life, will help food manufacturers develop appropriate food processing, packaging and distribution strategies. Utilization of these appropriate strategies will reduce food waste and economic loss. Upon successful completion of the course, participants will receive certificates of attendance and one-hour free consultation with one of the instructors. Do you know all that you should about these sneaky organisms? As food safety professionals, it is our duty to ensure that the food we ship to our customers is not only high quality, but safe to eat. While most food safety professionals are intricately familiar with their manufacturing and sanitation processes, many don’t know enough about the foodborne pathogens themselves, to keep the company’s food safe for its consumers. Understand the common methods of laboratory testing to provide a foundation for identifying an appropriate sampling and detection strategy for your company. Course details are unavailable at this time. Click Here to sign up to be notified when more information is released! Foodborne pathogens may hide in the corners and crevices of your equipment and production facility, avoiding eradication by routine sanitation procedures. These pathogens in turn cause widespread recalls and outbreaks that take lives and destroy brandreputations. FDA’s Food Safety Modernization Act (FSMA) requires food processing facilities to mitigate this risk, by conducting a hazard analysis and implementing risk-based preventive controls. Environmental control and monitoring are integral parts of this required risk management. Please join the Central Valley Institute of Food Technologists for a night of networking, cheese, and a piece of food history! Peter Ernster, Jr. will be speak about a real world product development case study starting with R&D and pushing the product all the way through the sales cycle to the consumer. Peter Ernster is the Director of Business Development-Cheese for Hilmar Cheese, Inc. Peter recently joined Hilmar Cheese from Pacific Cheese, where he worked for over 7 years and held many senior leadership roles, most recently in concurrent positions as Sr. VP of Foodservices Sales and Sr. VP of Manufacturing. Prior to Pacific Cheese, Peter was the President of Chateaux Cheese, his family’s 3 generation cheese business. Overview: Current Good Manufacturing Practices (cGMPs) are a U.S. regulation, and are globally accepted conditions that are followed for producing safe and wholesome foods. The regulation provides guidelines for preventing product adulteration. By establishing cGMPs as a foundation of their Prerequisite Programs, food manufacturers can develop food safety programs that are concise and manageable. Overview: HACCP is a globally recognized food safety system that can be applied from ‘farm to fork’ in all types of food industries. The principles are science-based approaches used to identify and evaluate potential hazards, and identify those points in the process where control is vital to prevent or eliminate the hazards. In addition to being required by U.S. federal regulations for specific foods, HACCP-based food safety programs are being required by many customers, Global Food Safety Initiative (GFSI) standards such as SQF and BRC, and serve as a basis for the new preventative controls required by FSMA. On Thursday, March 14, 2019, the UC Davis Department of Food Science and Technology is hosting its annual Food Science Showcase and NCIFT Annual Meeting and Student Recognition Dinner, with a featured speaker. Please see below for the full event schedule! Would you like to support student attendance to this event? Learn more about the benefits of donating to the Food Science Educational Enhancement Fund. Donors of $50 or more will be recognized at this year’s NCIFT Banquet! All events will take place at the UC Davis Conference Center. Parking is available on campus for $9/day. Please join us in recognizing this year’s scholarship recipients with some amazing food and company! 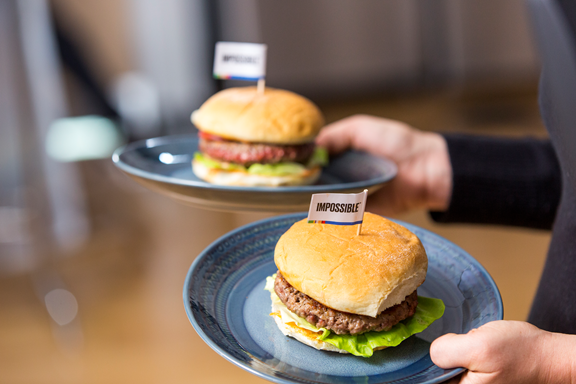 Speaker Bio: Chris Davis is a Research Fellow in Impossible Foods’ research and development labs with a focus on long term research and alliances. Before joining Impossible, Chris was a scientific founding member of Codexis, Inc., where he held a variety of technical leadership positions engineering proteins and strains. He is an inventor on 24 U.S. Patents. Chris holds a B.S. in Chemistry and Biochemistry from the University of Southampton, and a D.Phil. in Organic Chemistry from Oxford University. Abstract: Meat is delicious, nutritious and loved by consumers across the globe. Unfortunately it is also produced using an inefficient process that has not fundamentally changed since the Stone Age. This inefficiency leads to the production of 15% of global anthropogenic greenhouse gas emissions, loss of wildlife habitat and is responsible for 25% of the world’s fresh water consumption. In order to feed an expanding population, we need a new and more sustainable way to produce the meat, fish and dairy foods the world loves. Our solution is to replace animal-based foods with delicious, nutritious and affordable meat and dairy foods made from plants. For questions, please contact Victoria Torres at vgtorres@ucdavis.edu. Elections for both NCIFT and national IFT board of directors are open now. Make your voice heard by voting both for IFT and NCIFT board positions. Please participate in national IFT and NCIFT elections between February 1 and March 4 by going to www.ift.org/About-Us/Election.aspx and clicking on “Vote Now” button. This year, Bruce Ferree, one of our dedicated NCIFT members has been nominated for national IFT board membership. Bruce has served in several different capacities at NCIFT board in the past and has a long history of effective leadership. He has been one of the leading forces for Feeding Tomorrow initiative. We, at NCIFT, believe that Bruce understand the needs of both NCIFT and national IFT and he will serve both organizations interest very well if he is elected to IFT board of directors. Register for Food Processing Expo 2019, California’s largest food processing trade show! Exhibitor and Attendee registration are open. Expo participation keeps growing each year. Plan to attend again or check it out as a first-time attendee! Use discount code NCIFTSP19 for free registration! Join Us at the NCIFT Holiday Dinner! YOU’RE INVITED to experience a magical evening at the beautiful Dublin Ranch Golf Course. Dublin Ranch Golf Course is proud to be the first and only golf course in its namesake city of Dublin. The NCIFT Holiday Dinner will include world-class wines paired with amazing dinner entrées. Our featured guest speaker, Pam Coleman, is the President-Elect of National IFT and will be speaking on Feeding Minds for Tomorrow’s World. *Raffle: Students from UC Davis will be selling tickets for the Holiday Raffle to raise money for their student clubs. Please bring a prize for the Raffle! Members $65, Students $40, Non-Members $75, if reservations and payments are made prior to November 20th. Any registrations placed after November 20th (if spots are still available) will be charged at $85, regardless of member status. We’re looking forward to seeing you! Please RSVP and submit payment to Imelda Vasquez at ncift@marketingdesigns.net or via phone at 650-802-0888. Bring Your Registration Ticket, Business Cards, Come to Network, Enjoy a bite or two and your favorite beverage. Have Fun, Meet and Greet with other local Industrial Food Manufacturers, Processors, Fellow Employees and Professionals from both Northern California and Northern Nevada Regions. Featuring Beer, Wine, & Other Libations, Plus a Light Food Selection, and Hors D’oeuvres, PLUS! a plant tour of Kimmie Candy! 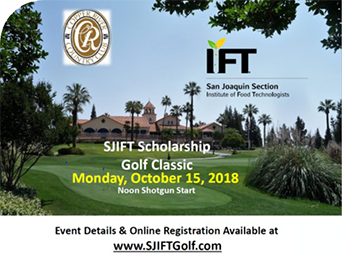 Event details and online registration available at WWW.SJIFTGOLF.COM. Please join NCIFT for our fall event, where we will welcome the 2018-2019 year. We will also be celebrating the 6 year anniversary of the NCIFT New Professionals group! Who should attend: long time IFT members, new IFT members, potential IFT members, New Professionals, food science students – bring a colleague with you! Thursday September 20, 5:30 – 7:30 p.m.
cGMP: This course will review 1) the current GMPs, 2) implementation of cGMPs, 3) how they are useful in the development of HACCP programs, and 4) the newest updates and information on FDA’s Food Safety Modernization Act (FSMA). Upon successful completion of the cGMP course, participants will receive certificates of attendance. HACCP: This hands-on workshop is designed to teach the basic HACCP concepts through lectures and presentations, followed by interactive small group exercises where participants learn to apply HACCP principles to different types of food products. 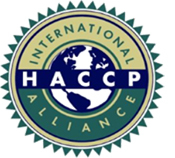 This workshop is accredited and certificates of course completion will have the seal of the International HACCP Alliance. Get Certified: This course developed by the FSPCA is the “standardized curriculum” recognized by FDA; upon successful completion of this course, attendees will be issued a Certificate of Training verifying qualified attendees as PCQIs (Preventive Controls Qualified Individual). Why it Matters: The Current Good Manufacturing Practice, Hazard Analysis, and Risk-based Preventive Controls for Human Food regulation (referred to as the Preventive Controls for Human Food regulation) is intended to ensure safe manufacturing/processing, packing and holding of food products for human consumption in the United States. The regulation requires that certain activities must be completed by a “preventive controls qualified individual” who has “successfully completed training in the development and application of risk-based preventive controls”.